I was reading another question on the site when I noticed the EVA suit sports heels. That only looks like a heel! As shown here, it's a "foot restraint interface"! That said, it probably makes walking around in the training facilities a lot easier. Although that doesn't happen much - the EMUs are heavy. 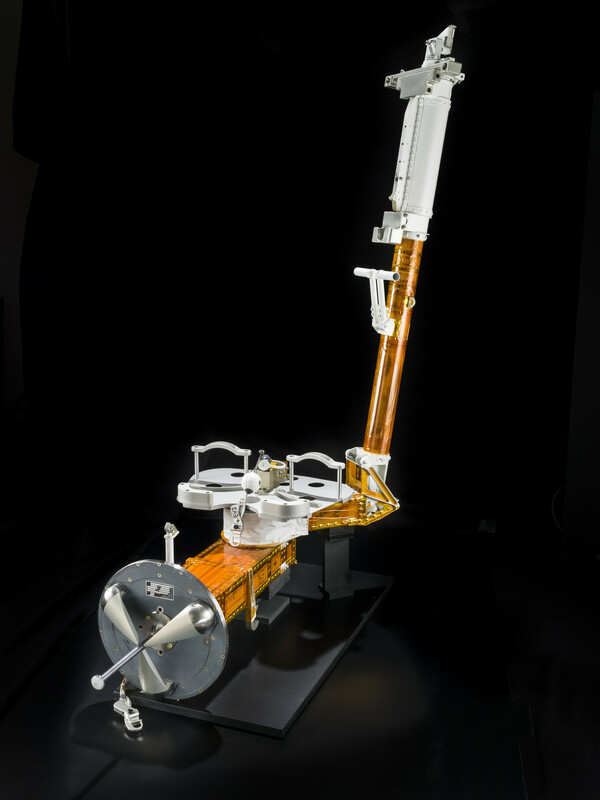 This picture of a Manipulator Foot Restraint - it was grappled by the shuttle robot arm and used to move crewpersons around - shows the interface with the boot. You can see where the heels fit. And here's a crewperson in the restraint. Finally, here's the Portable Foot Restraint attached to the space station robot arm. You can see it has the same interface to the boot. Not the answer you're looking for? 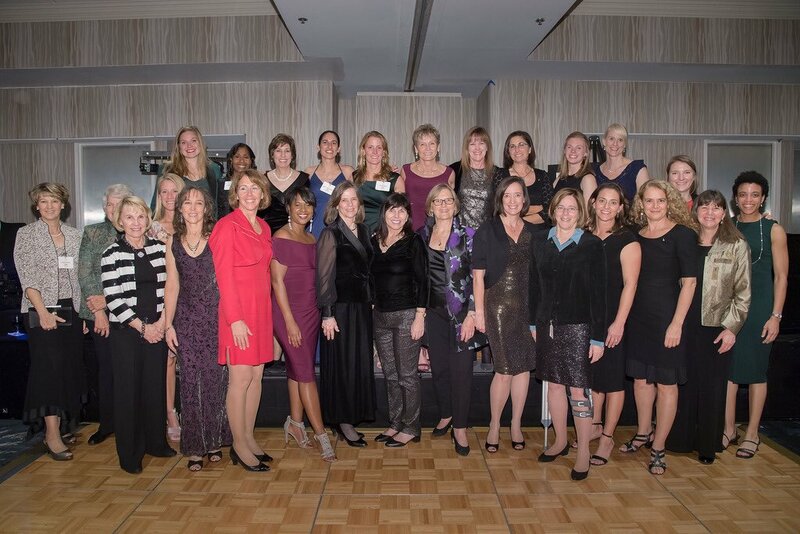 Browse other questions tagged spacesuits or ask your own question. 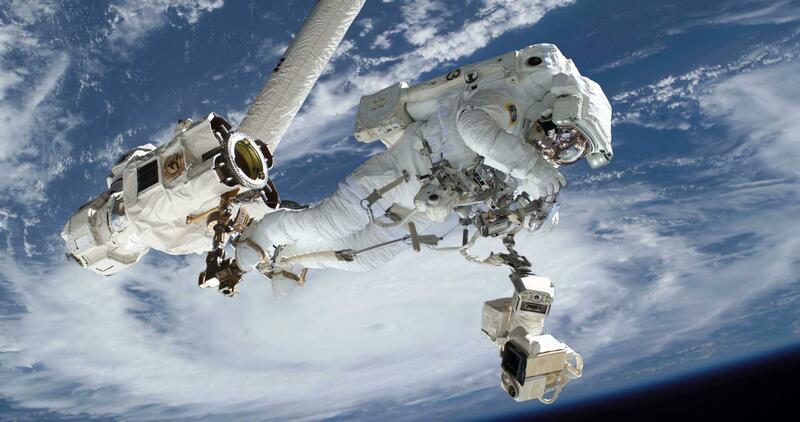 Could a harpoon-like gun be used by an astronaut to stop drifting away from a ship? 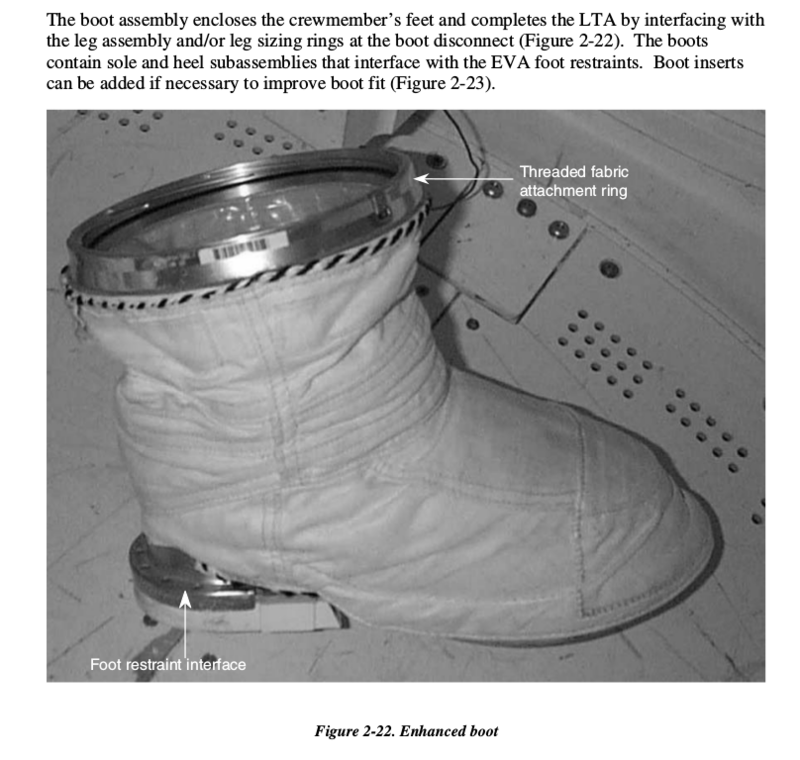 Which astronaut boots might it be that inspired Michael Jackson's patent? 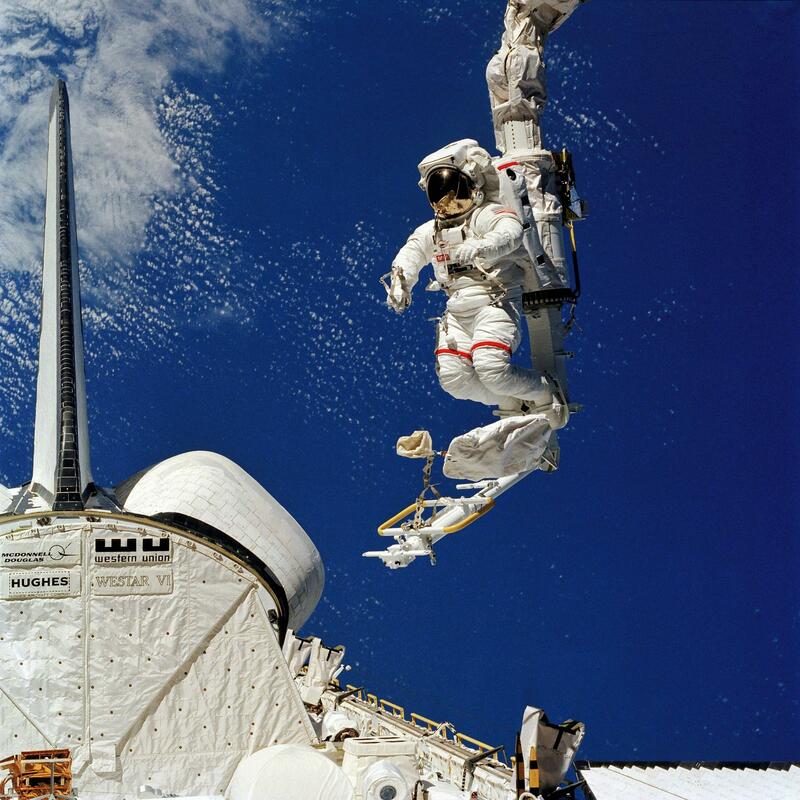 What is the purpose of this cable connecting Astronaut's boot restraint to a robotic arm? Do American astronauts wear Sokol space suits when flying on a Soyuz? 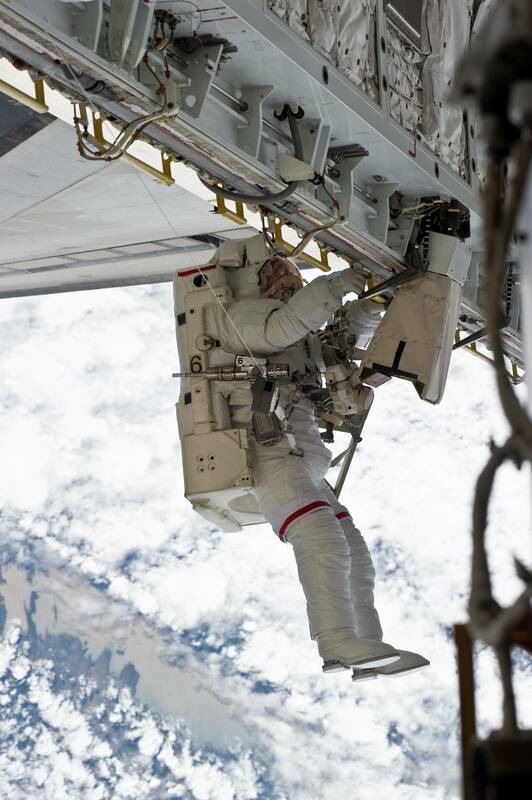 How (and when) do astronauts suit up when leaving ISS? Why is the Sokol suit white instead of safety orange? Why ISS Astronauts have red stripes?